Doesn't get much easier than this! 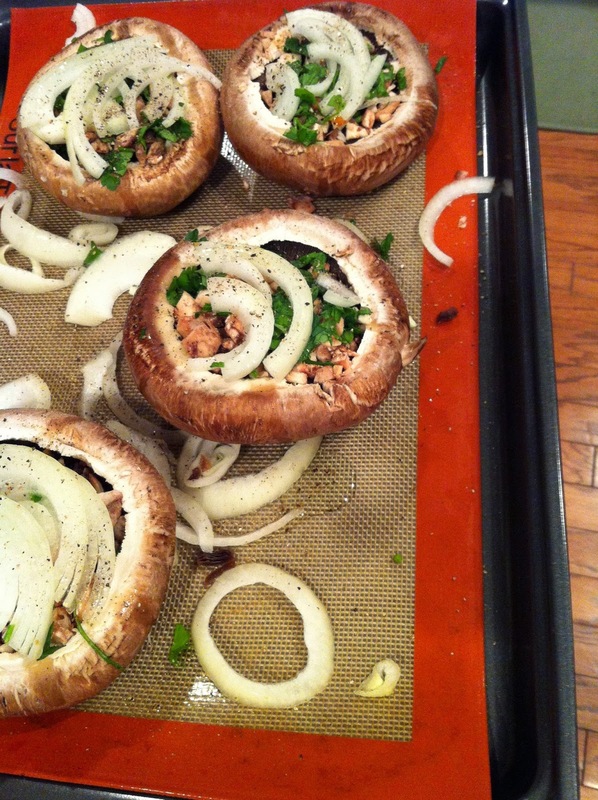 Remove stems from your portobellos, chop them up with onions, and add some parsley if you like. Then, bake! That's it really, sometimes I add a drizzle of oil and salt and pepper, sometimes I don't. 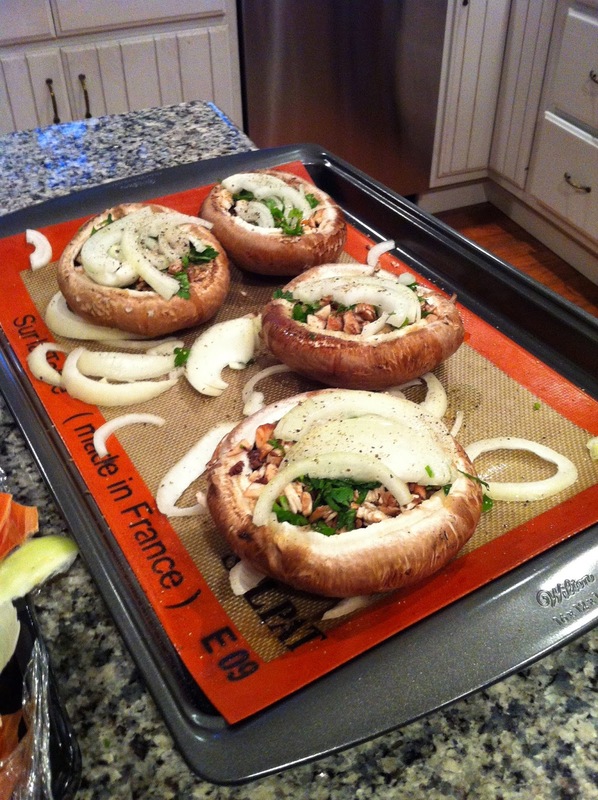 The meaty flavor of the mushrooms combined with the sweetness of the onions does it for me! It's simple "recipes" like this that anyone can do, that I am proud to say I am a cook first, then chef. I bake them at 400 F for about 20-25 minutes or until mushrooms are tender when poked with knife. Hey, they are vegan and gluten-free too. 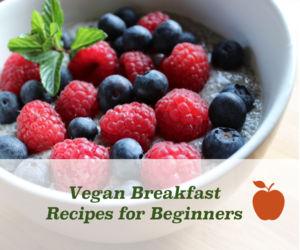 Sometimes I sprinkle nutritional yeast on it if I'm feeling particularly vegan that day.